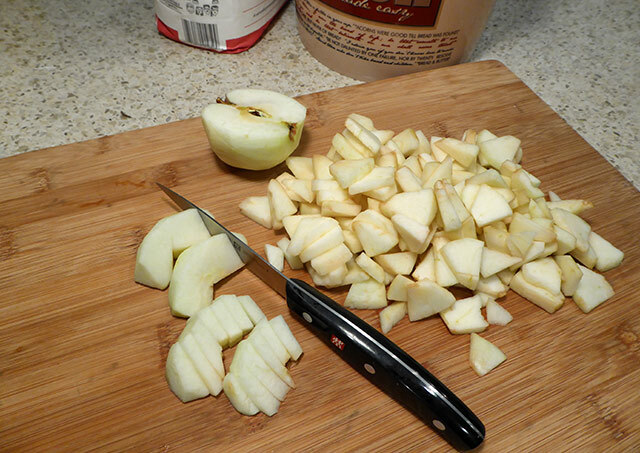 Apples are in season and can be used in countless ways. Make this delicious apple bread for dessert or breakfast using your favorite type of apple - we used Jonathan apples in ours. Add the warm water and yeast in the EZ DOH container and stir to dissolve. Let rest one minute. Add the warmed milk, then the remaining dough ingredients. Attach the EZ DOH hand crank and mix for about 4 minutes until the dough is smooth and all ingredients are incorporated. Remove the dough from container and shape it loosely into a ball. Spray the container with cooking spray to avoid sticking, then place the dough back in the container, cover, and let rise until doubled in size. Remove the risen dough from the container and divide it in half. Roll each half into an 8"x11" rectangle, and then cut into 9 equal strips. Grease two 8" round pans. Starting in the center, create a coil with the first strip of dough. Continue to add pieces to the spiral, pinching the ends of the strips together and adding apple pieces between each spiral. Repeat the same process with the second pan. Cover both pans and let them rise for 40 minutes. Pre-heat the oven to 365 degrees and bake for 20-25 minutes until golden. While the bread is baking, make the icing. Remove the pans from the oven. Gently turn each pan upside down to remove the apple bread and place each on a cooling rack. 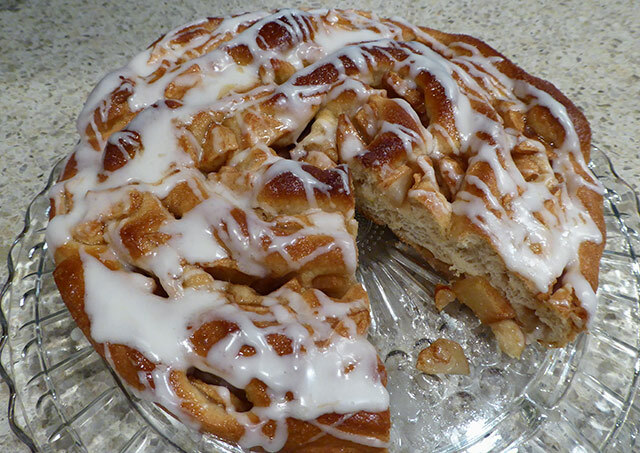 After the bread has cooled, add your icing and you're ready to enjoy your apples in a different way.